Considering that the ocean provides billions of people with vital protein and is the world’s largest carbon sink – without which we would experience an unimaginable 36c of global warming – it is entirely in our interest to restore its health. The good news is that it has an amazing ability to regenerate. If we act fast, we can help it, ourselves, and our planet. Our relationship with the ocean is at a crossroads. The decisions we take in the next five years will determine our future, our security, our very existence. They will make or break whole economies and dictate how and where we live. And there will be many more losers than winners should we ignore the stark signs of warming that the ocean is presenting. If we steer the right course and confront these challenges head-on, the reward will be an opportunity to build a sustainable blue economy of marine and coastal industries, goods and services that will enhance the wellbeing of humanity and the global commons. But, if we make bad decisions, there will be dire consequences for food security and regional stability: jobs will be lost and whole industries will suffer as the blue economy flounders. Looking to the future, two oceans are possible: a healthy one, where both marine ecosystems and human enterprises flourish, or an ailing, polluted one, unable to sustain us. The choice is easy, but the challenges are not. Our ocean is in deep trouble: 85% of fish stocks are over- or fully exploited. And, if we do not take action, by 2025 the ocean will contain 1kg of plastic for every 3kg of fish. A business as usual trajectory forecasts a catastrophic economic, social and environmental outlook. To give just one scenario, maintaining the status quo is to likely cause the total disappearance of the world’s coral reefs by 2050, resulting in the loss of food, jobs and storm protection for several hundred million people. About $30bn would be stripped from global tourism revenues alone. I am confident that we will rise to this challenge and am encouraged by the forces mobilising and uniting for the ocean. There is growing global recognition of the imperative of implementing a rescue package to restore its health, and of the immense opportunity that this entails. Crucially, alongside action in the political sphere, we are seeing more engagement of the business and finance communities, as momentum gathers behind boosting the role of the ocean and its resources – the blue economy – in economic development. The ocean is already a significant generator of wealth. A recent report by WWF estimates the value of key ocean assets at $24tn, with an annual “gross marine product” of $2.5tn. That’s about 5% of global GDP, making the ocean the world’s 7th largest economy – a place usually occupied by France. A 2016 assessment by Unesco and UNEP, that includes coastal regions, calculates that the large marine ecosystems, where 37% (pdf) of the world’s people live, contribute $28tn a yearto the global economy in fish, tourism and coastal protection. But these pillars of the blue economy are all threatened by a cocktail of climate change, pollution, overfishing and weak governance. With so much at stake, it’s not surprising businesses are starting to rally to protect marine assets. For example – in reaction to a surge in public interest in ocean plastic – a coalition of major companies, responsible for six million tonnes of plastic packaging a year, recently pledged to ensure all their packaging is reused, recycled or composted by 2025. This kind of commitment demonstrates the power of consumers to demand better from the businesses that serve us. While many governments and businesses are waking up to the power of the blue economy, not all are embracing the fact that protecting the ocean must be its foundation. This is alarming. 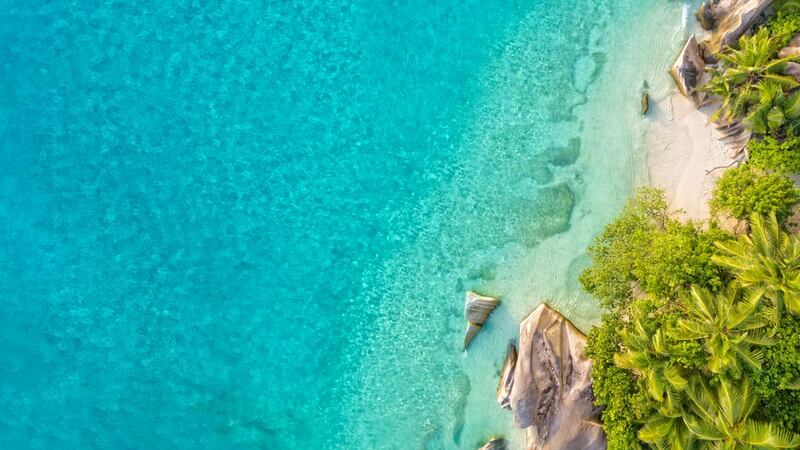 The blue economy sea-scape requires careful planning to ensure that investments support sustainable development pathways, rather than quick wins. The international community should work together to mobilise resources behind genuinely sustainable projects to this end. It is crucial to ensure that the $90tn of infrastructure investment predicted over the next 20 years does not jeopardise either the integrity of the marine ecosystems or efforts to reduce carbon emissions – a tall order that demands a global strategy. As a priority, the international community should help secure public and private financing to support establishing highly protected marine reserves covering at least 30% of the ocean, which the scientific community has declared essential for revitalising ocean life. As a co-founder of Ocean Unite, I am helping to amplify the message that the ocean is everybody’s business. Just last month, at the first ever Ocean Risk Summit, we welcomed a new member to the extended family of ocean partners, the insurance industry. This milestone gathering highlighted the complex threats linked to a changing ocean, not least the more severe hurricanes being fuelled by ocean warming. It is only logical that the risk-management sector plays a lead role in reducing our vulnerability to these threats. But the summit wasn’t just about talking. Practical outcomes include a breakthrough project on blue carbon credits that will provide financial incentives to conserve the coastal wetlands that both protect our shores from storm damage and help fight climate change, by sequestering billions of tonnes of carbon, and a new ocean risk index. These are just a sample of the myriad opportunities that will help realise the vision of a truly sustainable blue economy, one of the 21st century’s prevailing challenges. The transition to “blue” policies and business practices is an historic and unprecedented opportunity. If managed responsibly, it will bring huge benefits to countries at all income levels, including new jobs, a cleaner ocean, abundant biodiversity, and global food security. We may be at a crossroads, but there is only one viable path to follow. Given what we stand to gain, how could we choose not to invest in and work together for a healthy ocean?